In our crazy busy world how awesome it is to find a home close to so many amenities w/a peaceful backyard. 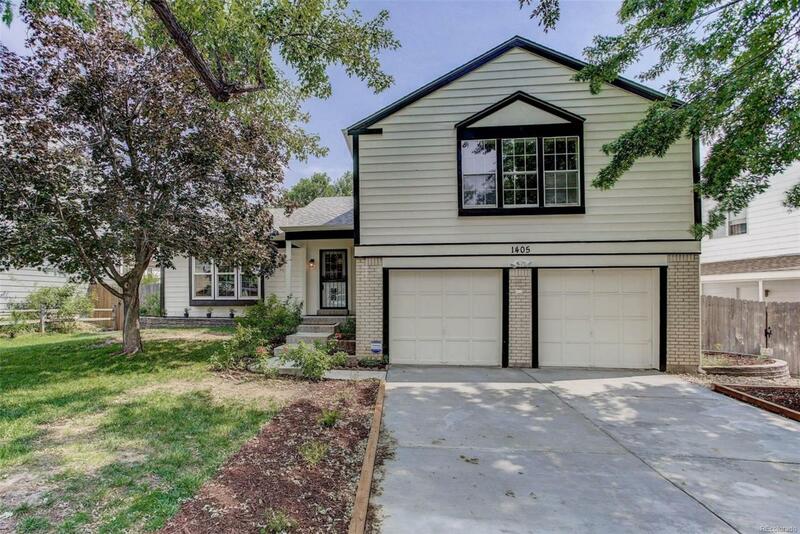 This updated multi-level home is a must see! You will love that there are hard surfaces through-out. A bright living room leads to a large eat-in kitchen w/stainless appliances, granite countertops & updated fixtures. The lower family room has a real wood fireplace & potential office space or a playroom. The upper level features a master suite w/large master closet that highlights fabulous built-in shelving. There are also 2 bedrooms & hall bath, a space for everyone. Relaxing in the backyard is a perfect way to begin or end the day, there are apple trees & roses creating a wonderful outdoor oasis. The unfinished basement provides plenty of storage or an opportunity to add over 644 finished sq ft. Ideally situated on a mall circle, no through traffic & easy access to light rail, parks, DIA, medical centers, & shopping.